How to track the published/unpublished status for node revisions? I am ultimately looking for a way to create a report in Views showing what nodes were active on the site at what times but thus far have been unable to accomplish this. I've done a fair bit of research and experimentation but it seems the main obstacle is that node revisions in Drupal don't capture whether the node was published or not at the time of the revision. Can anyone offer some guidance on how to do such a thing in Drupal 7? As an example for clarification - though not my exact situation - imagine a classifieds site where the managers need to know how many listings (i.e nodes) were currently published (not published on a particular date, but "live" on the site) for the month of January. Or, perhaps to see what listings were active the week of January 1st-7th, who posted them, and what the headlines were. Any pointers in the right direction? Or is this something reasonably achievable with custom development (I am just a site builder not a developer!). Try this hope it helps. Second add the fields you want to display based on your node. Add relationship 'author' so that you can add a user:name which is related to the author of the node. Third change your use pager to 'page by date'. Next add a contextual filter Date: date(node). After adding do this. And your output should be like this. Additional, you can add exposed filter date so that you can filter on what month you want to check. Hope this helps you in your problem. (b) store relevant data about them. or rather 1 Message Type for published and another of unpublished. Use the Rules module to capture these events, with Rules Actions to create appropriate messages (= records in your custom log). Use the Views module to browse the messages that got created. For a variation of your question, where a similar technique can be used, refer to my answer to "Is there a way to send emails when someone logs in?" 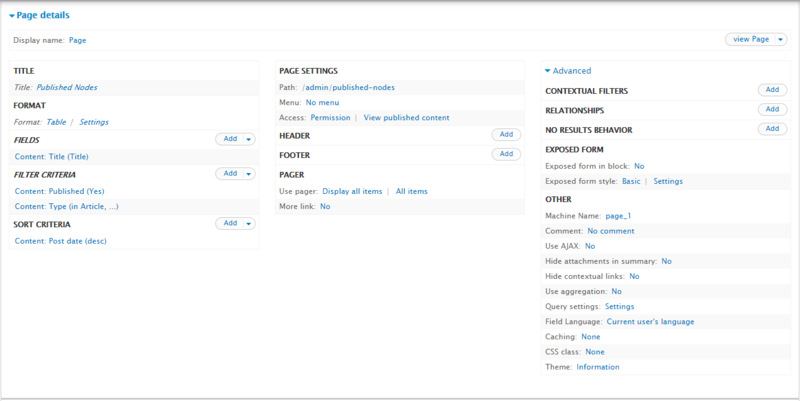 (which includes examples of the relevant Message Types, Rules and Views. BTW, no need for custom coding. Not the answer you're looking for? Browse other questions tagged 7 nodes reporting or ask your own question. 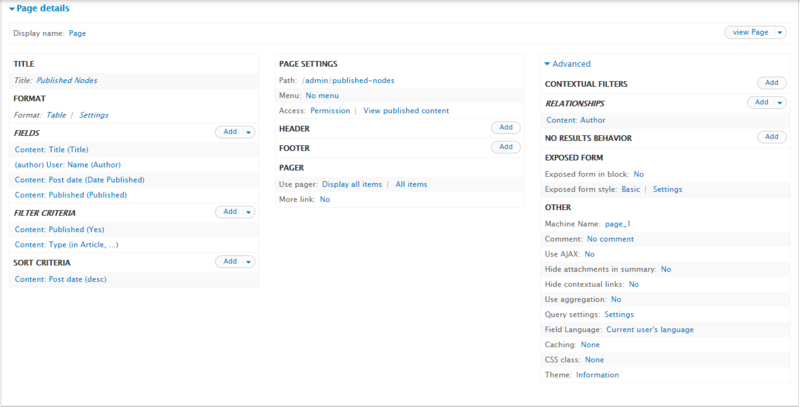 Is there a module to track future revisions of published content in Drupal 6? How to control Block revisions before being published?